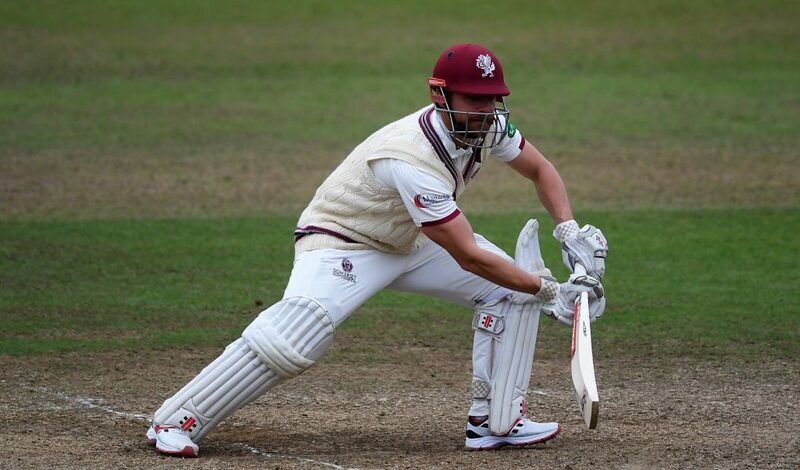 A century from James Hildreth, his third of the season, put Somerset in command on the opening day of their Specsavers County Championship match against Nottinghamshire at Trent Bridge. 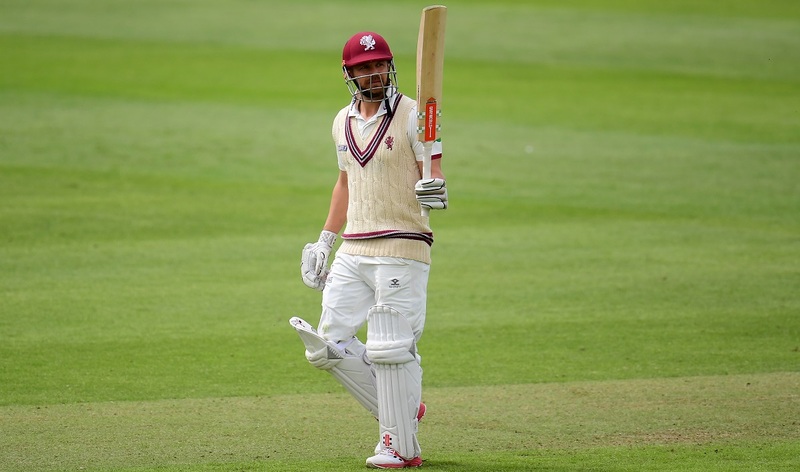 Hildreth scored 137 as the visitors reached stumps on 353 for seven. During the course of his innings Hildreth passed 1,000 Championship runs for the summer and shared in stands of 71 with Marcus Trescothick, 92 with Tom Abell, and 90 with Steven Davies. 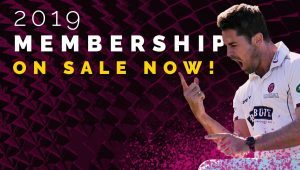 Abell had won the toss and opted to bat, with his side needing six points to guarantee themselves of finishing as runners-up to Surrey in the First Division. The home side were given an early boost under clear blue skies, thanks to the skiddy swing bowling of Luke Wood. Tom Banton, whose father Colin played seven first class matches for Notts, made just three before being pinned lbw by the left-armer, in the sixth over of the day. Pakistan international Azhar Ali made a stylish 19, before nicking Gurney to first slip, where Riki Wessels took a sharp, low catch. 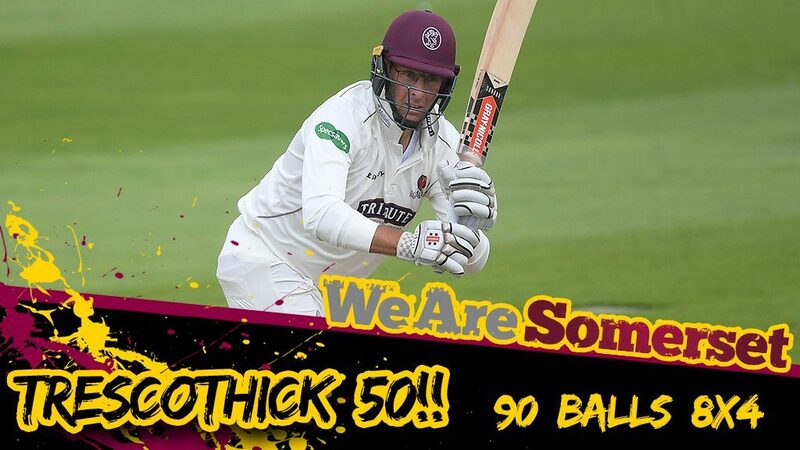 Marcus Trescothick was undefeated on 55 at lunch, having reached his half century from 90 deliveries. 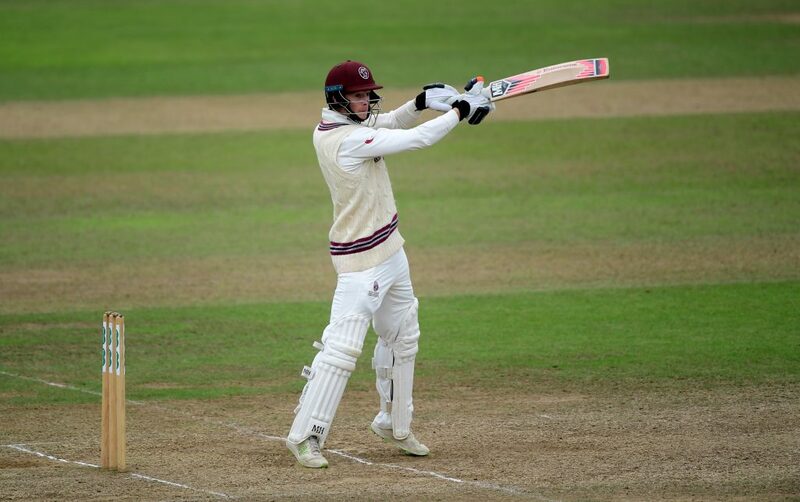 Trescothick had made a double hundred in 2016, on his last appearance at Trent Bridge, and appeared well set on 71 before driving Gurney’s first delivery of a comeback over into the hands of Ben Duckett at cover. Off-spinner Matt Carter bowled 17 consecutive overs from the pavilion end, either side of lunch. The 22-year old, whose previous eight first class matches had all been on away matches, changed ends after tea and struck immediately, with Abell nicking to Steven Mullaney at slip. Hildreth had been spilled in the slips on 30 but made the most of his reprieve, reaching his 50 from 81 balls and his 44th first class hundred from 165. Davies survived a difficult leg-side chance on 18, when he nicked Luke Fletcher but Tom Moores couldn’t hold on after diving full-length. After reaching three figures Hildreth increased the tempo with a succession of flowing boundaries before nicking Gurney behind. His four-hour innings had occupied 203 balls and included 20 fours and a six. In the closing overs of the day Davies brought up his 50 from 86 balls but then two wickets fell in quick succession to raise home spirits. Lewis Gregory and then Davies, from the final ball of the day, both nicked Gurney behind to the ‘keeper. Somerset ended the day with four batting points, whilst Notts have picked up two of the bonus points that they require to stave off relegation. 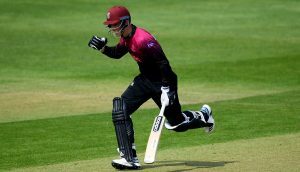 After the close of play, Somerset centurion James Hildreth said: “I’m very pleased with how it’s gone. Watching Tres bat, then having a partnership with him gave me a bit of confidence. There was a period where not much happened and the ball was swinging around a little bit and I thought they bowled quite nicely. “So, to get through that period was good and after that it became easier. The ball got older and I was able to score a few more runs.